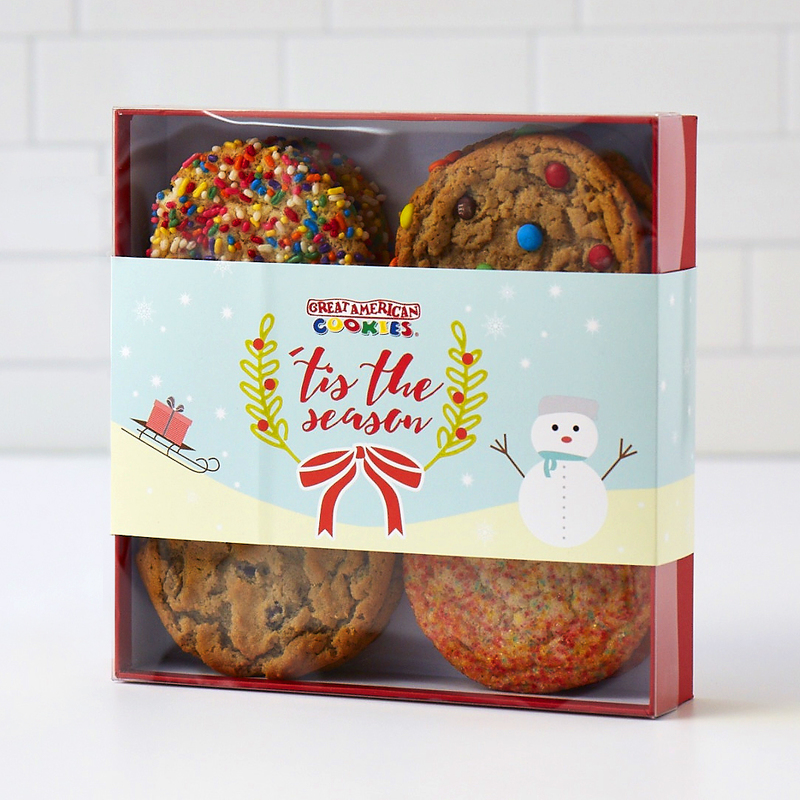 $19.99 Cookie Gift Boxes now available this holiday season. $19.99 Gift Box dozen valid 12/1-12/31/18. At participating locations only; Cookie assortment may vary.